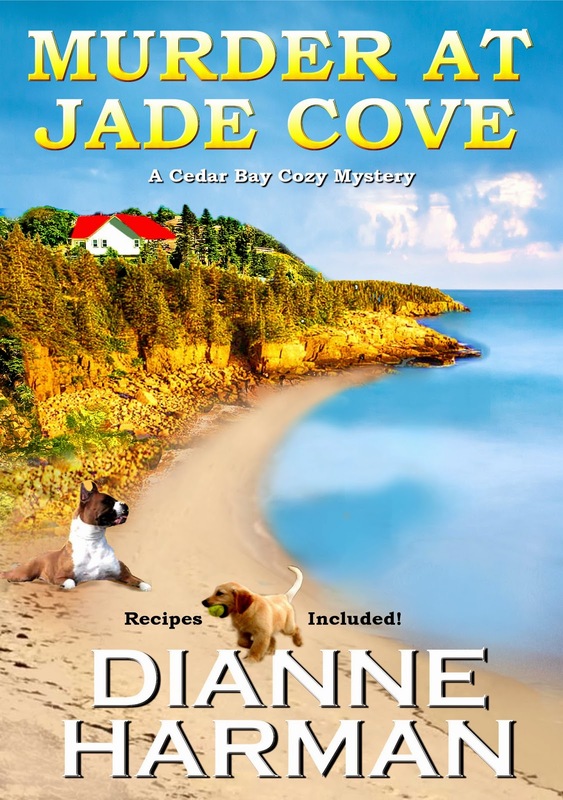 Must Read Mysteries: Giveaway from Dianne Harman! 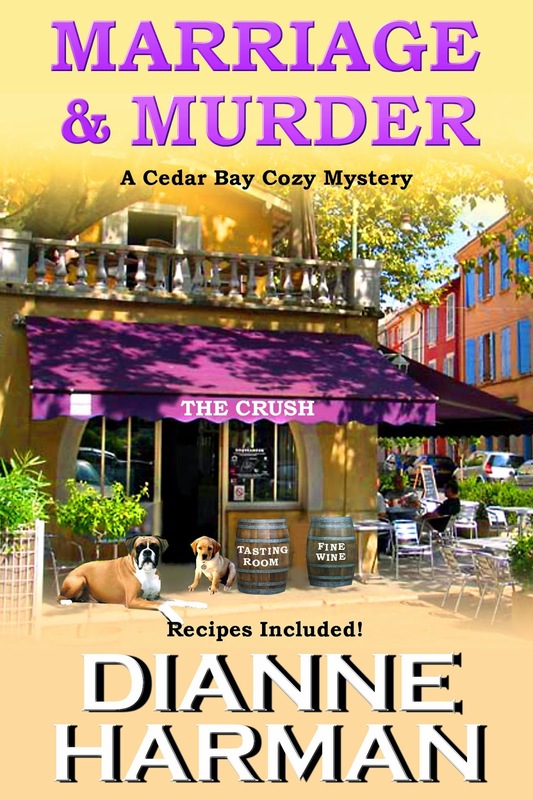 We have yet another fantastic giveaway to share with you today, courtesy of award-winning author Dianne Harman. Update: The winners are Judy Gardner, Bea, and Nancy Mejia! Congratulations on your win; we'll be in touch soon! Thanks to everyone who entered and shared. 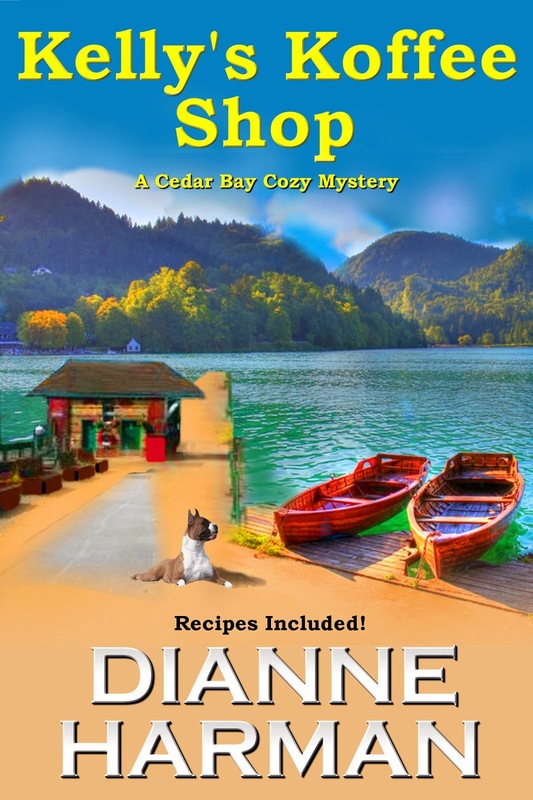 Dianne is the author of two best-selling series - popular and well-reviewed Cedar Bay cozy mysteries and the Coyote series. 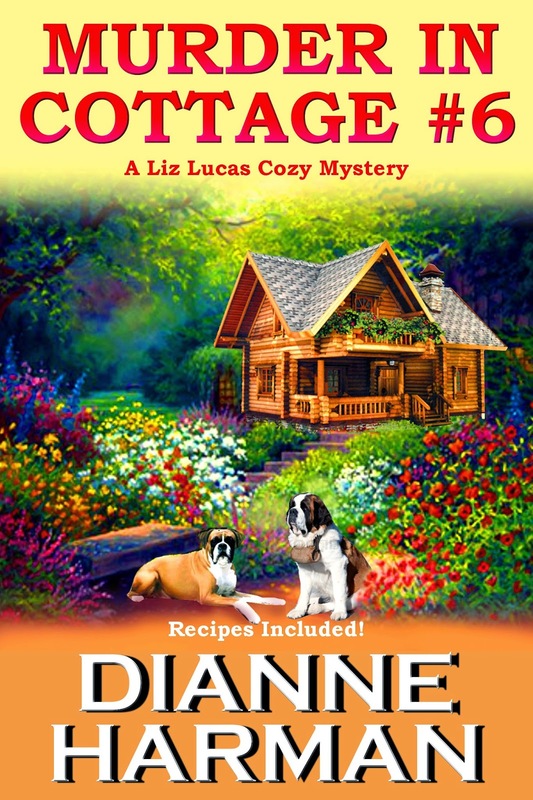 She has recently released the first book in her new “Liz Lucas Cozy Mystery Series,” Murder in Cottage #6. Her books have won numerous honors, and she has been recognized by Amazon as one of its best-selling authors. We are so excited to share her work with THREE lucky readers. Please comment below to enter the contest to win one copy of your choice of the titles listed below. In your comment, please let us know which title you would like to receive in the event that you are one of our winners. Share this post on social media for a second entry. Liz Lucas, a 52 year old widow, is beginning to think she’s been given a second chance at life by owning a successful spa located in a beautiful forest area on the coast north of San Francisco. What could possibly go wrong? Well, for starters, discovering that a guest staying in cottage #6 at the spa has been murdered. 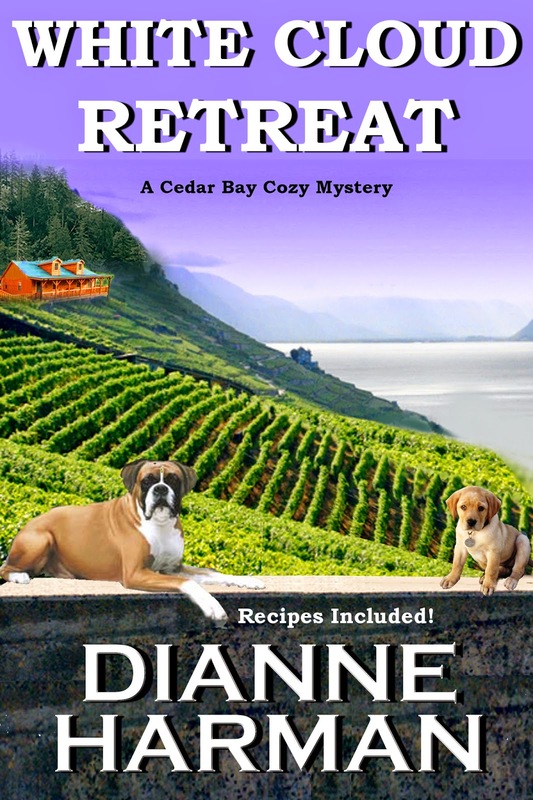 In order to save the spa’s reputation, Liz, along with her two dogs, Brandy Boy and Winston, sets out to find the killer. The cast of characters includes a handyman, spa employees, the bumbling police chief, the owner of Gertie’s Diner, the dead woman’s husband (the mayor), his girlfriend, and a Tiffany glass collector. One of them probably committed the crime, but it’s up to Liz to quickly find the culprit. Was it the environmental activist enamored with spotted owls, someone from the local Native American tribe, Jeff’s son, Jeff’s wife, or his wife’s lover? Join Kelly, the owner of Kelly’s Koffee Shop, her boxer dog, Rebel, and her fiancé, Mike, the county sheriff, as they try and catch the person who killed Jeff Black. Well, it’s not as if no one wanted Jeff dead. He had enemies. There were a lot of people who didn’t want to see his property turned into a commercial hotel and spa. Finding suspects won’t be hard to do, but finding out who killed him will be. No one would ever nominate Jeff for the “Most Popular Citizen Award.” This is going to be a nightmare for Mike. I wonder how I can help him, Kelly thought. What could possibly go wrong at a beautiful Oregon vineyard overlooking the ocean? Could the White Cloud Retreat Center on the vineyard, run by a world famous Buddhist Zen Master hold a deep, dark secret? Murder, for one thing, but who could possibly have a motive for killing the beloved Zen Master? Solving the mystery is the job of Sheriff Mike, ably assisted by his soon-to-be-wife, Kelly, an amateur sleuth, and their two dogs, Rebel and Lady. The vineyard is famous for its White Cloud Pinot Noir wines and the coffee shop that Kelly owns, Kelly’s Koffee Shop, is equally popular with customers looking for good food. After a long courtship, Kelly, the owner of Kelly’s Koffee Shop, and Mike, the county sheriff, finally get married. Their honeymoon is cut short when Jesse, the owner of the local wine store called 'The Crush' gets murdered. Why would anyone want to murder Jesse, a likeable and legendary wine expert? There are a number of suspects including his ex-wife, an alcoholic who hates liquor stores, a Mafia hit man, a wealthy French woman, two winemaking brothers, and even his sister. But who did it? Join Kelly, Mike, and their dogs, Rebel and Lady, as they seek to find the killer. Along the way, you’ll find lots of good food and mouth-watering recipes. Please comment below to enter the giveaway! Share this post on social media for a second entry; just comment and let us know you did so. Please Note: If you are commenting anonymously, please leave your full Facebook name or email address so that we may contact you in case you win! Winners will be chosen via random number generator at noon EST on Tuesday, March 31st! Great series, hope to get a chance to read one. In case you win (good luck! ), which book would you prefer Lisa? Looks like a wonderful mystery. Thank you for the chance to win! Which book would you prefer if you win Lisa, Murder in Cottage #6? Thank you for entering and good luck! I love the series. Would truly enjoy winning one. Thank you for the opportunity. I love my cozy mysteries, sorry to say I have not read yours...yet. I always like to start my series with book number one. Look forward to reading yours. I've only read Kelly's Koffee Shop, would love to read the other ones in the series! I shared on twitter. Thank you for sharing Brooke! I like to start at teh beginning when I can so book 1, Kelly's Koffee Shop. Congratulations on the series! Thank you for this chance to win one. I like the description of Murder in Cabin #6, if I win, that's the one I'd like. Felita Daniels on Facebook. Thank you for sharing Felita! I would love to win the first 3 books in this series! Somehow I have missed this series. Bondir atmsn.com (please remove space & replace at with @). Thanks! Would love to start this series, have not heard of these before. So....if I win would love to start with the first book, Kelly's Koffee Shop. Her books sound great,love to win. Anonymous, we need a way to contact you to be able to enter you in the giveaway.